Calling all lemon lovers! 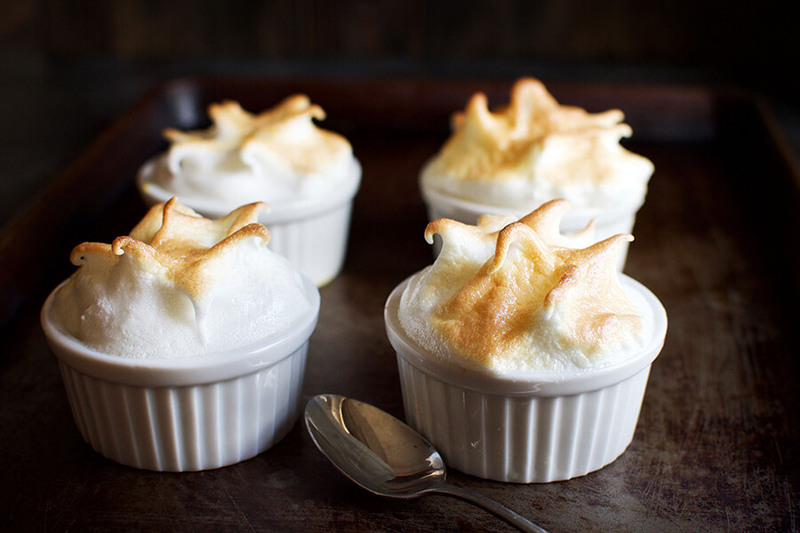 This Keto Lemon Meringue Custard recipe makes creamy individual lemon custards topped with clouds of toasted meringue. 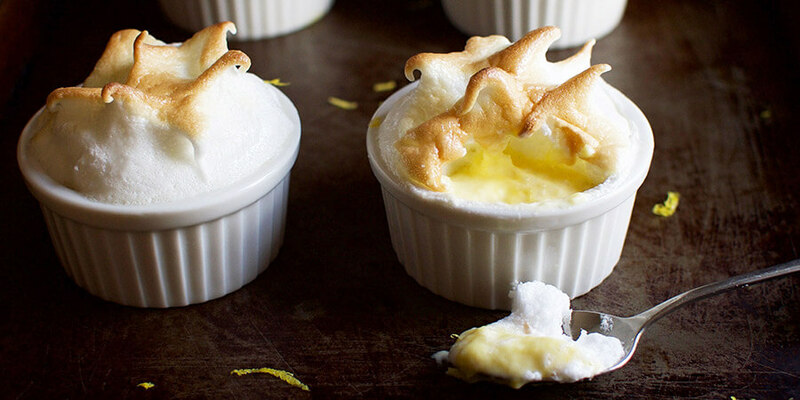 These custards are like mini-lemon meringue pies, but without a crust to fuss with. The custard in this dish is flavored with real lemon zest and a touch of lemon extract. It has delicious sweet lemon goodness without too much tartness. Best of all, it doesn’t come out of a box, so you know exactly what goes in it. One thing I love about this recipe is that, while it requires that the eggs are separated, it uses both the yolks and the whites in the same dish. 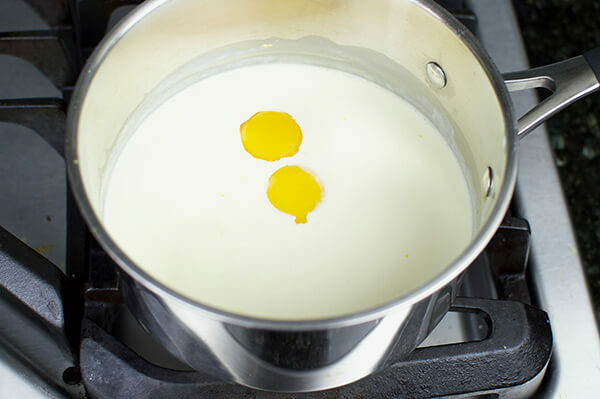 The yolks add richness to the custard and the whites form fluffy meringue for the top. 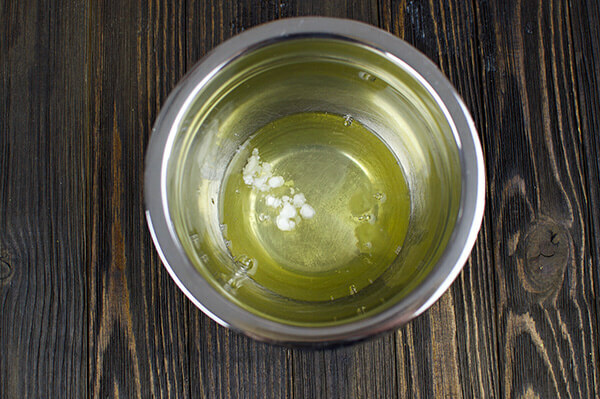 Be careful when you separate the eggs, however—even a tiny bit of yolk (or any oil on your bowl or beaters, for that matter) will keep the whites from becoming meringue. Eggs are a bit easier to separate when they are cold, but be sure to allow the whites to come to room temperature for about thirty minutes before beating. 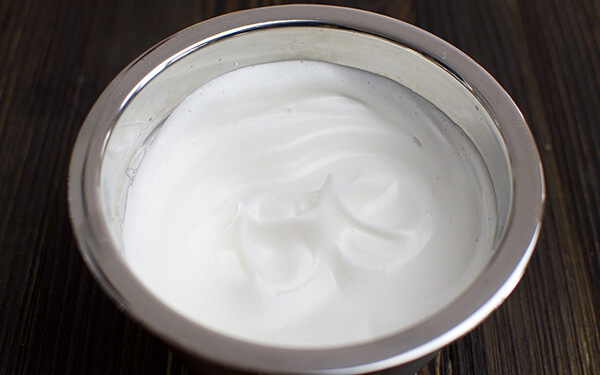 Room temperature egg whites make a higher and lighter meringue. Be sure to beat the meringue long enough to dissolve all the sweetener. Dissolving the sweetener completely not only avoids a gritty texture, but also prevents beads of moisture from forming on the meringue. This recipe calls for the meringue to be added to the custard while it is still hot. 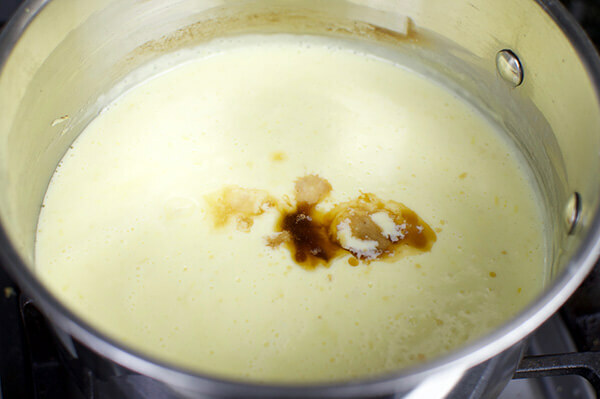 Adding the meringue to a hot custard prevents a layer of moisture from forming under the meringue as the custards cool. 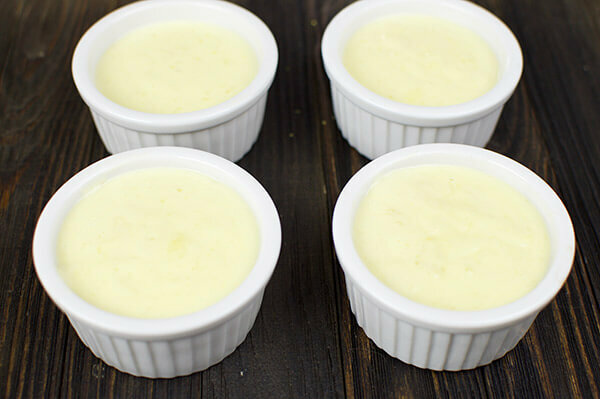 We put the lemon custard in ramekins to make four separate servings. I like using ramekins for this recipe because they are oven safe and can withstand the heat from the broiler. If you prefer, you could put it all in one dish and serve it family style. Feel free to be creative in the dishes you choose–just make sure they are oven-safe. 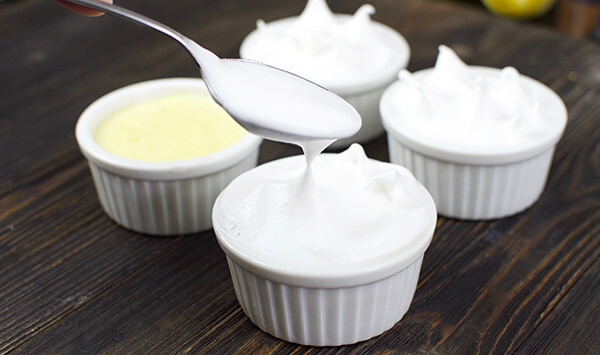 This Keto Lemon Meringue Custard recipe is sure to satisfy that lemon craving. These desserts are so beautiful and delicious, it’s hard to believe they are keto-friendly. Yields 4 servings of Keto Lemon Meringue Custard. *The stevia erythritol blend we use in this recipe is twice as sweet as sugar—One teaspoon of the blend is as sweet as two teaspoons of sugar. 1. In a medium saucepan combine 1/3 cup sweetener, xanthan gum, salt, and zest. 2. 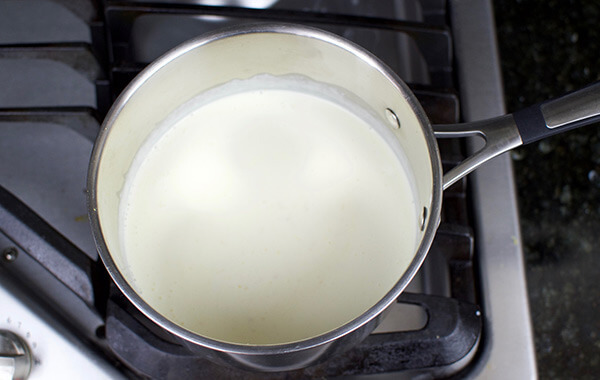 Place saucepan on the stove and whisk in about a tablespoon of the heavy cream. Turn heat to low and gradually add the remaining cream, 1-2 tablespoons at a time. Be sure to whisk thoroughly between each addition. 3. Once all of the cream has been added, whisk in the egg yolks. Increase heat to medium-low, stirring frequently. 4. 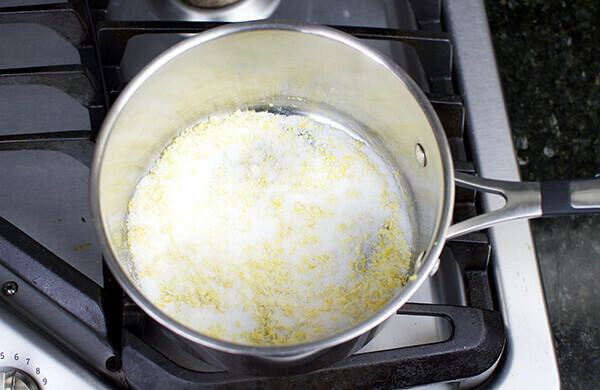 When the mixture begins to simmer, remove from heat and stir in ½ teaspoon of vanilla and lemon extract. 5. Transfer the mixture to four 4-oz. ramekins or your desired oven-safe serving dish. Prepare the meringue right away so the custard will still be warm when the meringue is spread on top. 6. In a small bowl, whip together the egg whites and cream of tartar using an electric mixer at medium-high speed until soft peaks form. 7. Add 1 tablespoon of sweetener, and 1/8 teaspoon of vanilla ,and beat at high speed until stiff peaks form. 8. Evenly spoon the mixture onto each of the custards. Be sure to seal the edges of the custard with the meringue. To create peaks, press down on the meringue with a spoon and then briskly lift upward. 9. After spreading the meringue, adjust top rack of your oven so it is about 8 inches below the broiler element. Turn the broiler to high heat. Transfer the ramekins to a cookie sheet and place the sheet on the top rack. When the meringue begins to brown (about 10-20 seconds), turn around the cookie sheet and broil for another 10-20 seconds. The tips of the meringue should be brown, but the base should still be white. Do not over-brown the meringue as over-browning can make the meringue tough. 10. 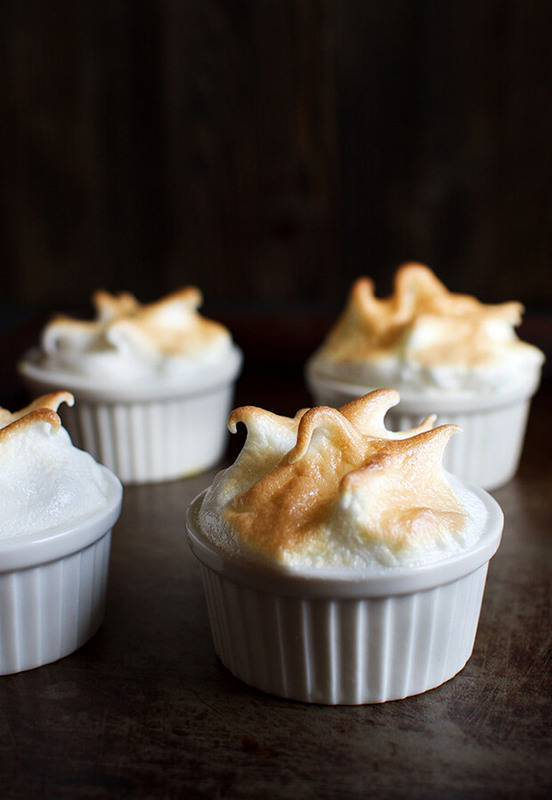 Once the meringue has been toasted, transfer the ramekins to the refrigerator until serving. This makes a total of 4 servings Keto Lemon Meringue Custard. Each serving comes out to be 353.87 Calories, 35.38g Fats, 2.85g Net Carbs, and 4.97g Protein. In a medium saucepan, combine 1/3 cup sweetener, xanthan gum, salt, and zest. Place saucepan on the stove and whisk in about a tablespoon of the heavy cream. Turn heat to low and gradually add the remaining cream, 1-2 tablespoons at a time. Be sure to whisk thoroughly between each addition. Once all of the cream has been added, whisk in the egg yolks. Increase heat to medium-low, stirring frequently. When the mixture begins to simmer, remove from heat and stir in ½ teaspoon of vanilla and lemon extract. Transfer the mixture to four 4-oz. ramekins or your desired oven-safe serving dish. Prepare the meringue right away so the custard will still be warm when the meringue is spread on top. In a small bowl, whip together the egg whites and cream of tartar using an electric mixer at medium-high speed until soft peaks form. Add 1 tablespoon of sweetener, and 1/8 teaspoon of vanilla ,and beat at high speed until stiff peaks form. Evenly spoon the mixture onto each of the custards. Be sure to seal the edges of the custard with the meringue. To create peaks, press down on the meringue with a spoon and then briskly lift upward. After spreading the meringue, adjust top rack of your oven so it is about 8 inches below the broiler element. Turn the broiler to high heat. Transfer the ramekins to a cookie sheet and place the sheet on the top rack. When the meringue begins to brown (about 10-20 seconds), turn around the cookie sheet and broil for another 10-20 seconds. The tips of the meringue should be brown, but the base should still be white. Do not over-brown the meringue as over-browning can make the meringue tough. 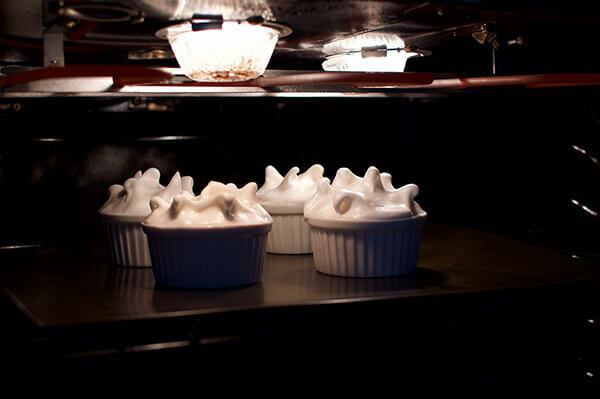 Once the meringue has been toasted, transfer the ramekins to the refrigerator until serving.